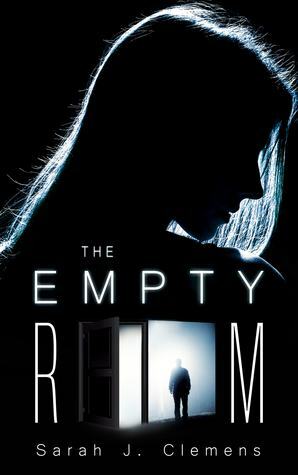 Home Tags Posts tagged with "free"
Sarah Clemens is pleased to announce that The Empty Room is on a month-long book tour with Silver Dagger Sciptorium Book Tours. Check in each day for a chance to win a $10 Amazon Gift Card and the chance to see tons of other great authors and reviews on some amazing blogs. Thank you to Silver Dagger Sciptorium for planning and coordinating this tour. The Empty Room went on tour with Reading Addiction Virtual Book Tours! The tour kicked off July 17th, 2016 and wrapped up on July 23, 2016. Check out all of the blog stops, discussions, Q&A’s at the sites below. Goddess Fish Promotions organized a Virtual Blurb Blitz Tour for The Empty Room by Sarah J. Clemens. The tour kicked off July 25, 2016 and ran through August 5, 2016. Sarah J. Clemens awarded a $10 Amazon or Barnes and Noble GC to a randomly drawn winner via rafflecopter during the tour. – Congratulations to Christy, the Tour Prize Winner! August 2: Archaeolibrarian – I Dig Good Books! Check back often for free giveaways. Enter for a chance to win 1 of 50 signed copies of The Empty Room by Sarah J. Clemens. When a young couple is thrust into a mystery they could never imagine after moving to a small town, uncovering the secret could be deadly. Can you unlock the secret inside The Empty Room? Enter for a chance to find out. Giveaway ends September 13, 2016. Giveaway ends September 13, 2016. © 2016 All Rights Reserved by Off the Page Publishing.